This week marked the start of a new adventure for us--my big girl started the first grade, and I realized that over the next twelve years she will spend a huge chunk of her waking hours away from me. I knew I would be emotional about this milestone, and I expected that my daughter would have some reservations about a new teacher and classroom, but I didn't fully grasp just how affected my two-year old would be without having her sissy around. She's been clinging to me, and her tearful pleas for me to hold her have rendered me incapable of getting anything else done. It hit me that we all have to learn how to navigate this uncharted chapter of our lives. And while I'm excited for my little first grader to spread her wings and embrace her independence, and the opportunity for the baby and me to share some valuable time together, I am, naturally, saddened that time is passing so quickly. I feel more grateful than ever for the weekend because, honestly, I miss my girl so much when she's not with mama. I'm sure she'll tire of me kissing her all weekend. Enjoy yours, and God bless! 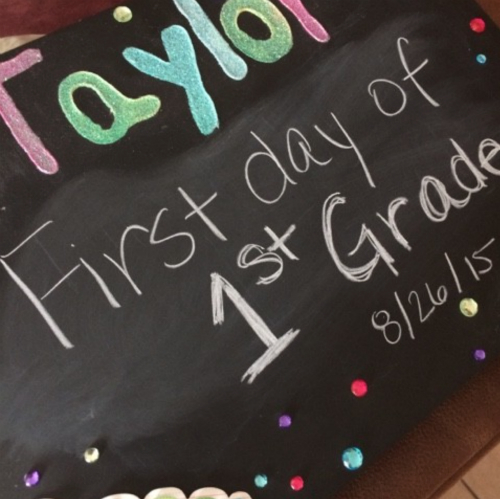 My sweet girl's personalized chalkboard, which we'll use every year. 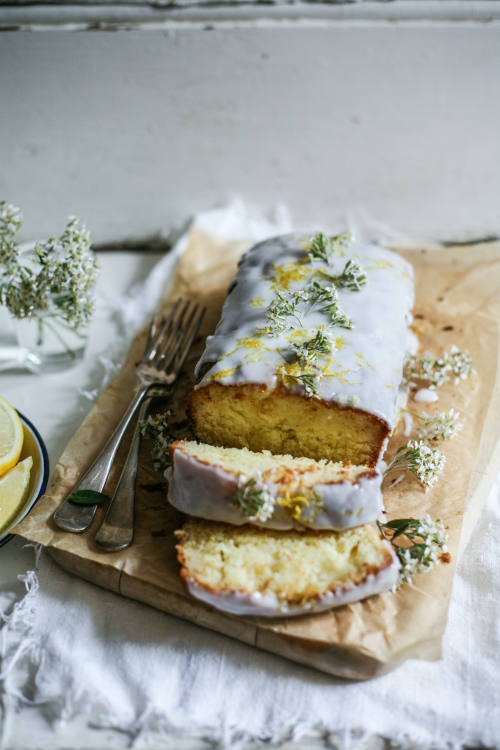 An elevated version of a classic lemon loaf cake. 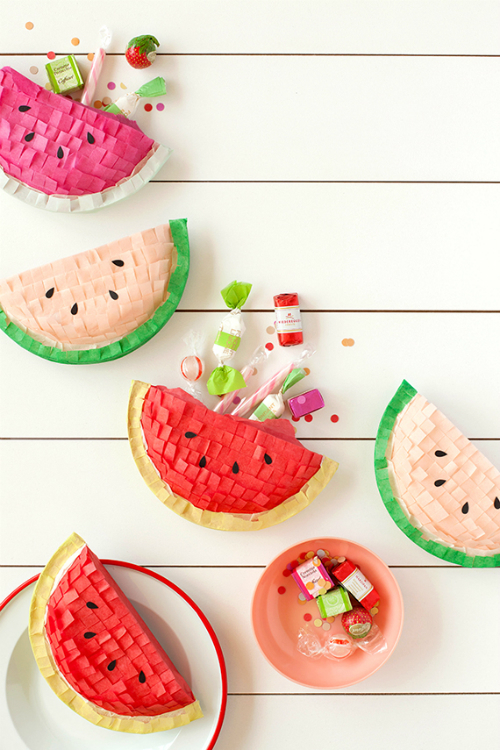 DIY watermelon piñatas that would be perfect for a Labor Day celebration. 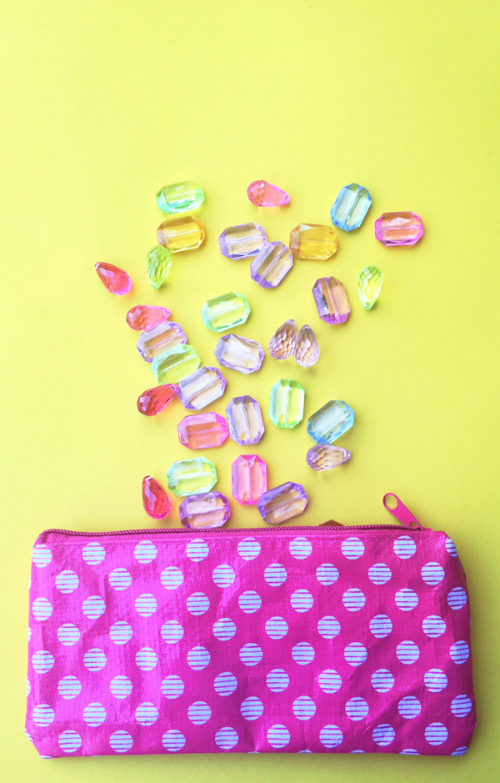 Cute storage ideas for all the craft supplies that I've got floating around. 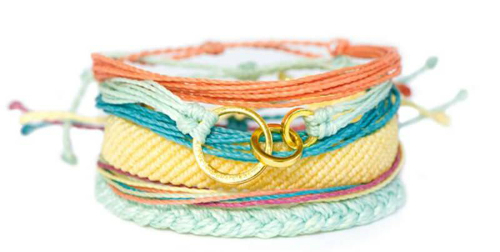 Pura Vida bracelets that remind me of our vacation in Costa Rica. Awwww so sweet. I was going to ask how the tiny one was adjusting. She misses her sisssy; she's been so tearful, it breaks my heart. I'm praying next week gets easier for her. What more can we say about a mothers love ? I'm sure next week will be much better! Btw... that lemon loaf cake is on fleek! I'm sure it will too. And yes, that cake is beautiful!